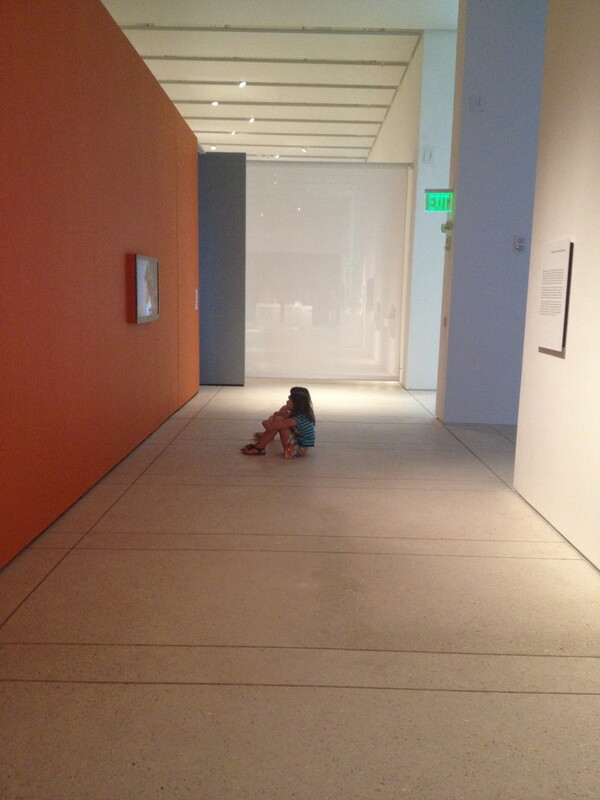 Earlier this year my daughter’s school class took a trip to the Glazer Museum in Tampa. I was supposed to go but because of work commitments I had to cancel last minute. I made a promise to her that I would bring them back this summer. I had to make good on my promise so we headed down the road to downtown Tampa. 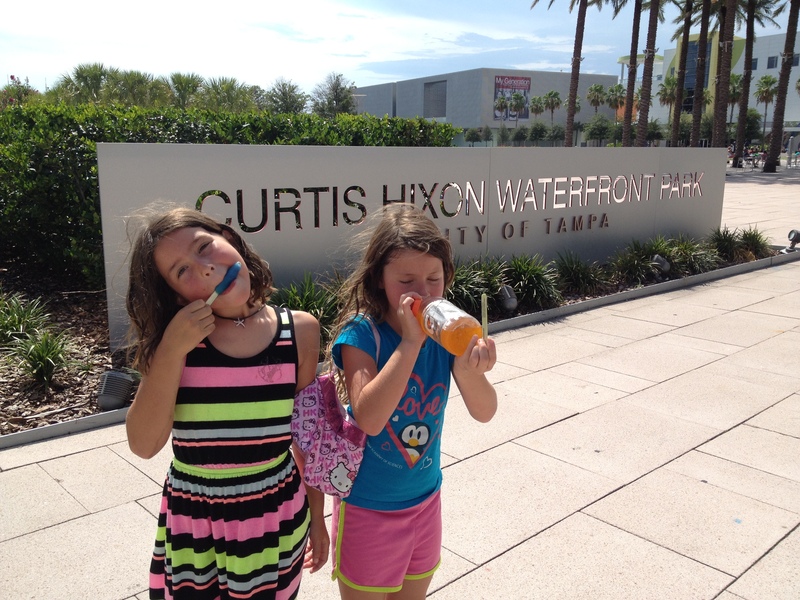 If you’ve never been to downtown Tampa and you have children, there are lots of things to do. 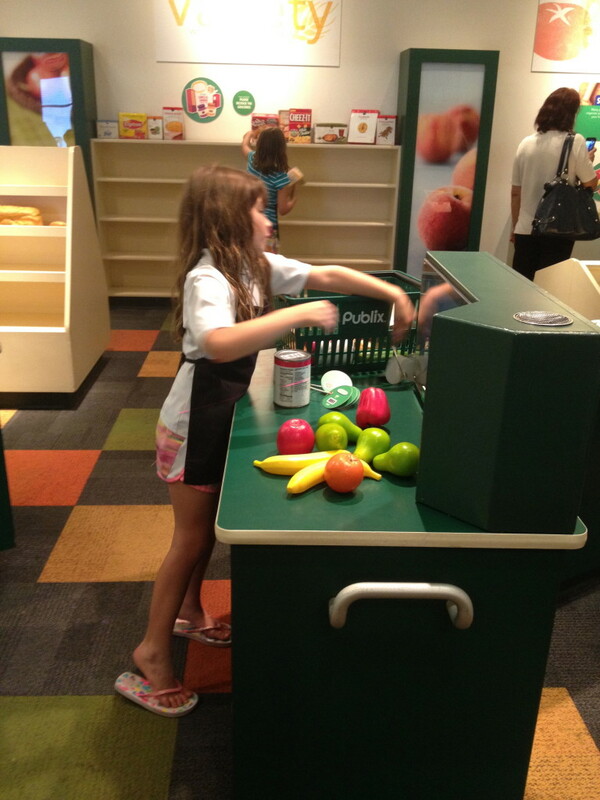 You can spend endless hours of fun at the Glazer Children’s Museum. It’s two levels filled with different areas highlighting grown up “jobs”. There’s a media room with a green screen and camera where kids read a teleprompter with the weather forecast. In that same room, kids can create the front page of the Tampa Tribune and email it to loved ones. In a separate area, there’s a mini theatre with costumes, lighting and sound effects as well as different backdrops. We spend a lot of time here. They love the dragon costume and the princess background. Another favorite area is the fire truck. There’s a building with a pole kids can use to slide down. They also have hats and jackets just like the firemen wear. 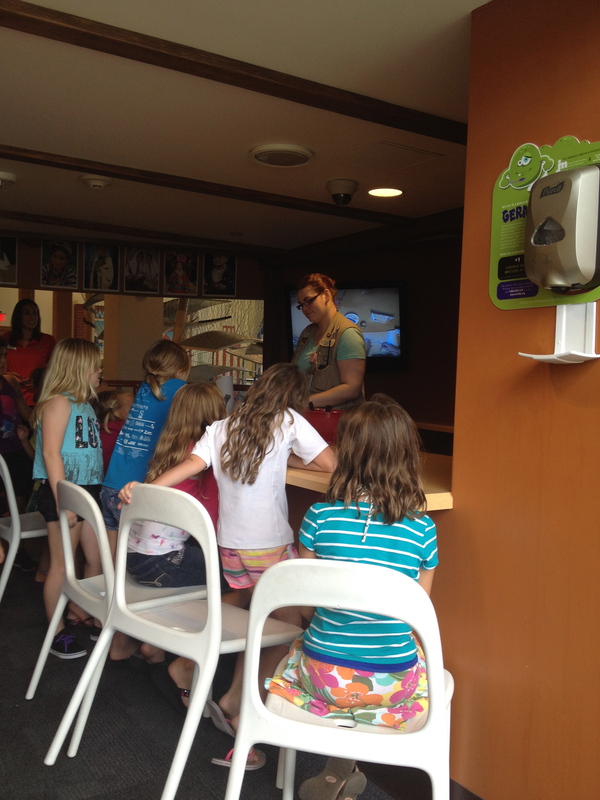 Glazer Museum also hosts different activities. For example on our visit there was a Mango Lassi demonstration and there was a spin art creation workshop too. Like I said your kids could spend the whole day here with no complains. 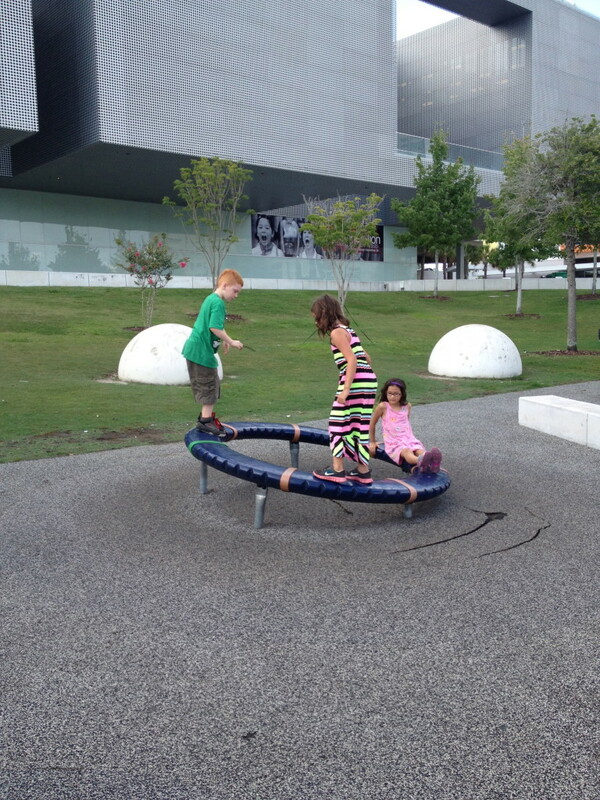 Outside the Glazer Museum there’s playground. It’s one of those newer, more ergonomic or futuristic style playgrounds and the kids just love it. They can play on the wheel, climb or spin endlessly. And after all that running around, they can jump right into the splash pad! It’s just a series of water shooting from the ground but the kids just love it. Mine ran back and forth until I told them it was time to go. I made the girls come with me to see the Poisedon exhibit at the Tampa Museum of Art. Little did I know they were going to love the video exhibit of Rotten. Currently, the museum is hosting My Generation: Young Chinese Artists exhibit. The video portrays beauty through produce. Of course we were interested. 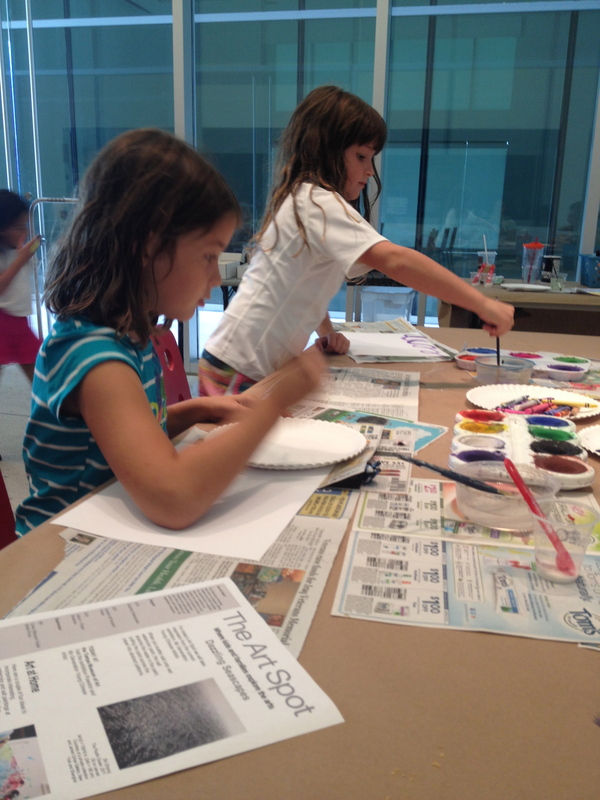 Did you know the Tampa Museum of Art hosts a free children’s art class every Saturday? It’s on the first floor of the museum and it is from 11 am to 2 pm. Every week they choose a new technique based on the current exhibit. During our class the girls experimented with watercolors and salt as well as crayons with blue tape. The instructor was amazing and the girls, although skeptical at first, we’re really glad they took part in the class. Here are some activities coming up to help you plan your next trip to downtown Tampa! Have you ever been to downtown Tampa? Do your kids like splash pads or art classes? What fun! 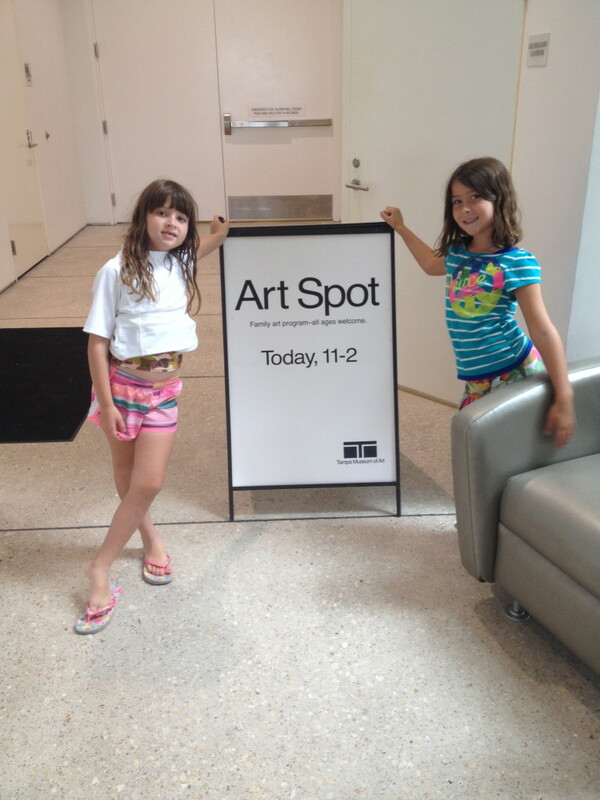 We love all those places too and I have been wanting to take my kids to the Tampa Museum of Art for some time now. I didn’t know that the museum hosted art classes for kids. Very cool! So cool! My daughters would LOVE the art classes!